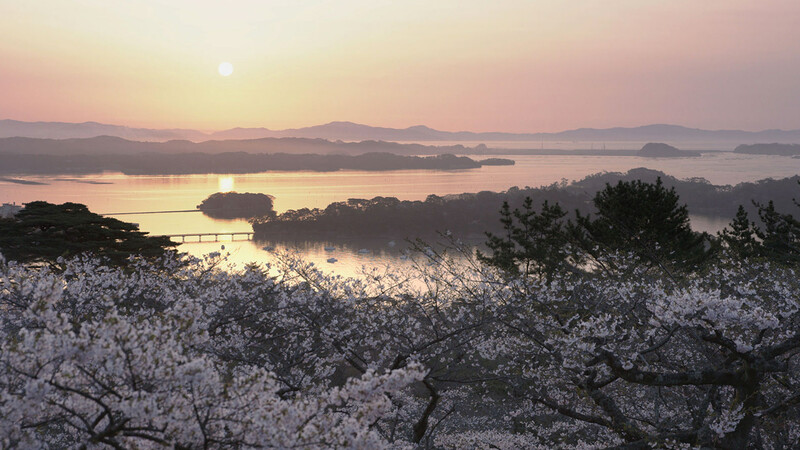 Every year at the end of April the park’s 260 cherry blossom trees reach full bloom. Located on a hill, it is a popular hanami (flower viewing) spot where you can enjoy the fully blooming cherry blossoms against a stunning view of Matsushima Bay. The park is named after Saigyo, the Japanese poet and Buddhist monk. Hitome Senbonzakura, which translates to “a thousand sakura at a glance,” is a path along the quiet Shiroishi River lined with over 1,000 cherry blossom trees, which were planted about 100 years ago. Take a stroll while admiring the flowers up close against the backdrop of the far-off sparkling white Zao Mountain Range. 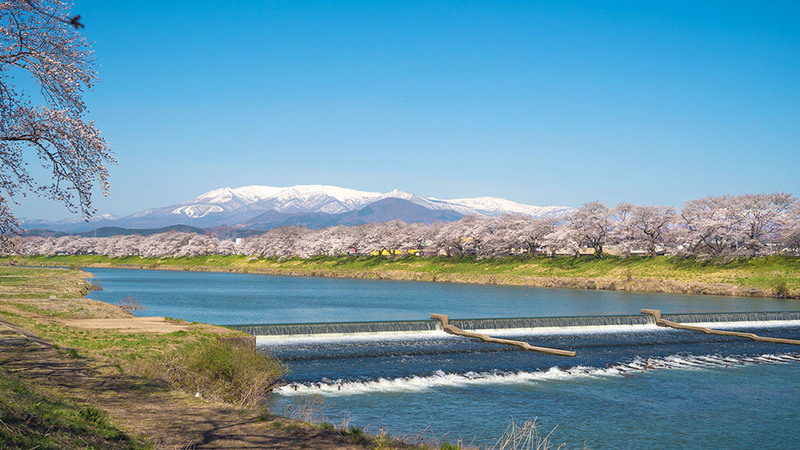 There are also boat rides for flower viewing available during the cherry blossom festival. With a circumference of roughly 2 kilometers, Lake Choro is located at the foot of the southern part of the Zao mountains. 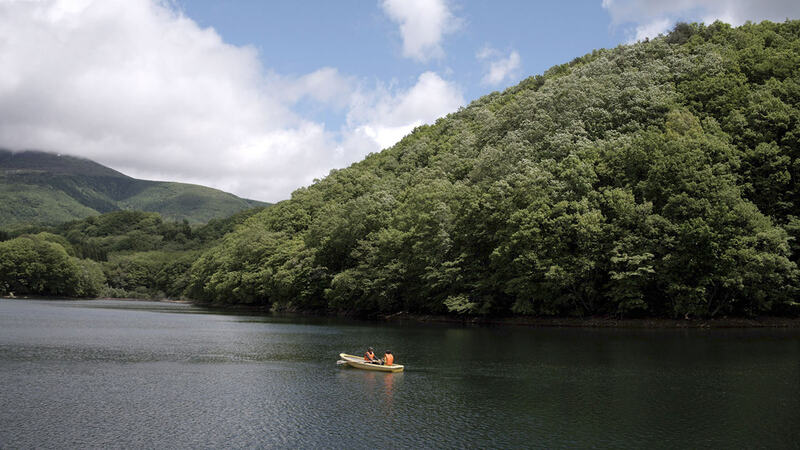 The view of the beech forest and the spectacular Mount Fubo reflecting on the mirror-like lake is well worth seeing. There is a walkway around the lake and it is particularly beautiful in the spring when the area becomes lush with new growth. 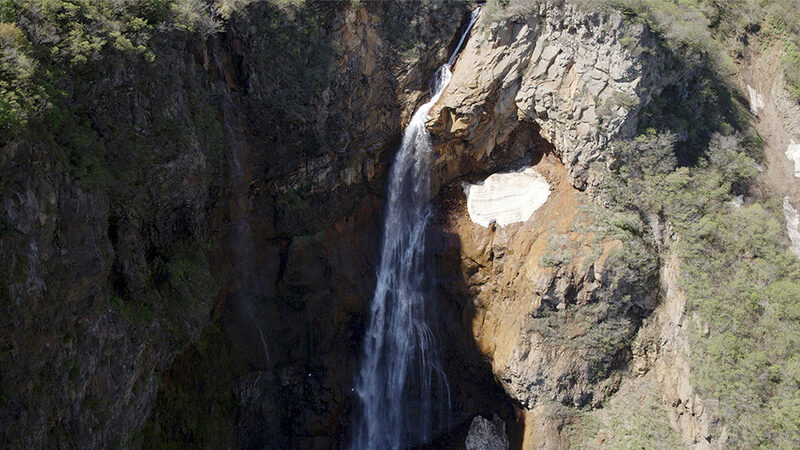 Known as the best waterfall in the Zao mountains, the water flows out from a crater lake called “Okama” and splashes against the craggy rock face as it falls. There is a lookout point in Komakusadaira along Zao Eco Line that provides a great distant view of the falls. It is 97 meters high and 14 meters wide. Copyright AOMORI IWATE MIYAGI AKITA YAMAGATA FUKUSHIMA Prefecture. All right reserved.